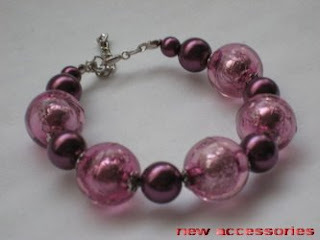 This beaded bracelet is made with 16mm plastic beads, 10mm and 6mm glass beads. 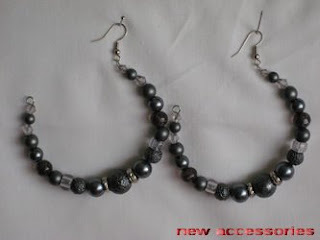 This grey bangle beaded earrings are made with 14mm, 10mm, 8mm glass beads, 8mm and 6mm plastic beads and 6mm and 4mm crystal beads. 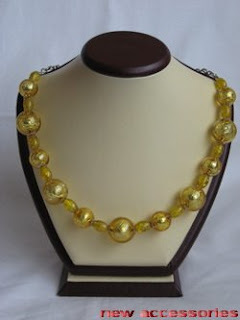 This yellow beaded necklace is made with 22mm and 16mm plastic beads and 14mm glass beads. All this big beads are my new beads from Turkey. 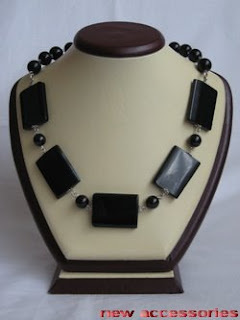 This beaded necklace is made with 12mm and 10mm glass beads and black onyx tile. 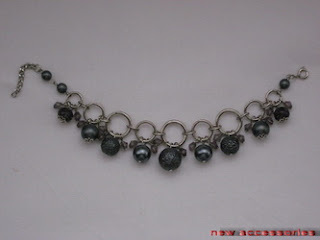 It is very simple and fancy necklace. 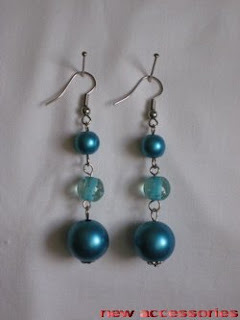 This beaded earrings are made with 14mm and 8mm plastic beads. Very easy model to make. 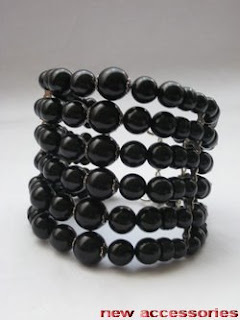 This black beaded bracelet is made with 12mm, 10mm and 6mm glass beads, 10mm and 8mm plastic beads, 8mm, 6mm and 4mm crystal beads and seed beads. It is big beaded bracelet. 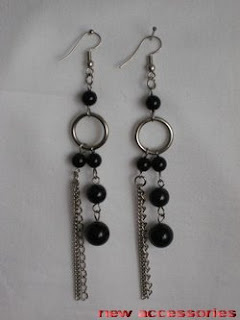 This black beaded earrings are made with my new beads from Turkey. 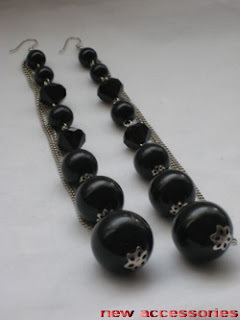 They are made with 24mm, 20mm, 16mm, 12mm and 10mm plastic beads and 14mm crystal beads.They are very long beaded earrings. This beaded ring is made with 6mm black and 4mm white crystal beads, and seed beads. 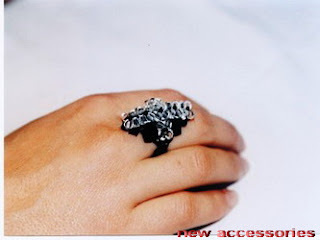 Very beautiful cross beaded ring. 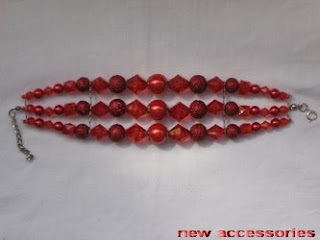 This red beaded bracelet is made with 12mm, 10mm, 8mm and 6mm glass beads, 12mm, 10mm, 8mm, 6mm and 4mm crystal beads and seed beads. This beaded necklace is made with 16mm, 12mm and 10mm glass beads, 14mm, 8mm and 6mm plastic beads, 4mm crystal beads and 10mm jump rings. This beaded necklace is long. 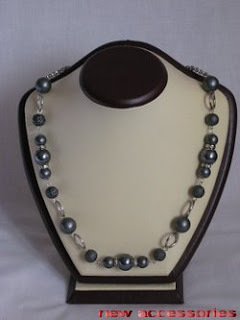 This beaded necklace is made with 16mm, 10mm glass beads, 14mm and 10mm plastic beads, 14mm jump rings. This beaded necklace is made with 14mm, 12mm, 10mm and 8mm glass beads, 12mm, 10mm and 8mm crystal beads and 10mm jump rings. Today I am having a little break from beading. I am feeling tired and I've decided to have a rest. 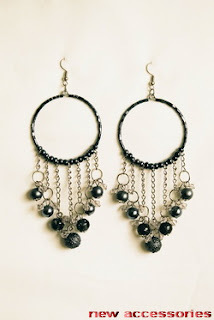 This beaded earrings are made with 10mm, 8mm and 6mm glass beads and 14mm jump rings. 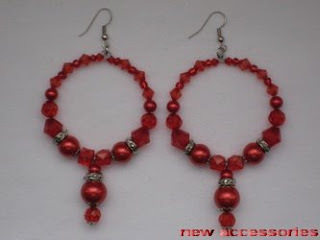 This red bangle beaded earrings are made with 12mm, 10mm and 5mm glass beads, 8mm, 6mm, and 4mm crystal beads and seed beads. 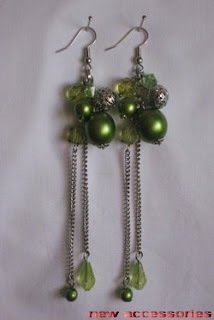 This green beaded earrings are made with 14mm, 8mm and 5mm plastic beads, 10mm metal beads, 8mm and 5mm crystal beads and crystal tears. 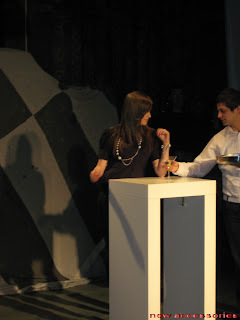 They are nice, what do you think? This bangle beaded earrings are made with 10mm and 8mm glass beads, 8mm plastic beads, 5mm and 6mm crystal beads, 8mm jump rings and seed beads. This gray beaded bracelet is made with 14mm, 10mm glass beads, 8mm and 5mm plastic beads, 5mm and 6mm crystal beads, 14mm, 10mm and 8mm jump rings. 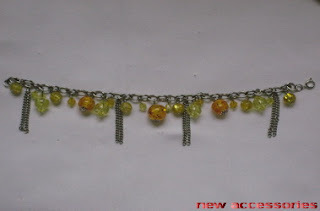 Very beautiful and elegant beaded bracelet, it is one of my favorites. This beaded bracelet is made with 12mm, 10mm and 8mm plastic beads, 8mm glass beads, 6mm crystal beads. Beautiful yellow bracelet. This beaded ring is made with 4mm and 5mm crystal beads and seed beads. 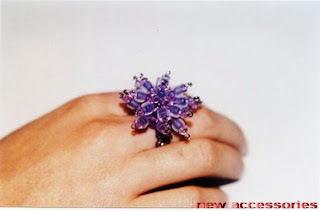 Beautiful ring like a flower what do you think? This beaded ring is made with 4mm crystal beads and seed beads. Very lovely colors. 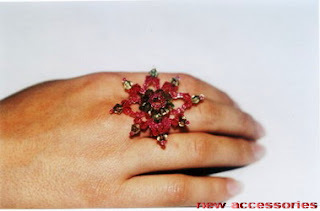 This beaded ring is made with 4mm and 5mm crystal beads, 5mm plastic beads and seed beads. 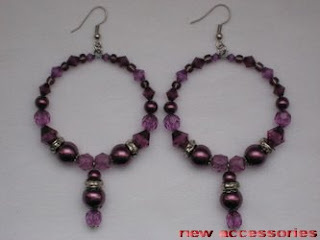 This bangle beaded earrings are made with 10mm and 6mm glass beads, 10mm, 8mm, 6mm, 5mm crystal beads and seed beads. This beaded ring is made with 6mm black and 4mm white crystal beads and seed beads. 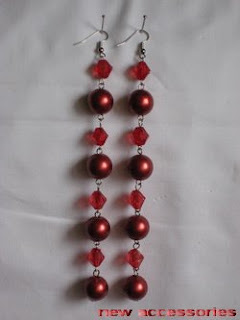 This red beaded earrings are made with 14mm plastic beads and 10mm crystal beads. They are long maybe 13 or 14cm. 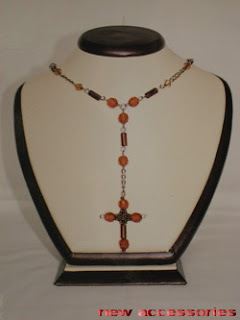 This beaded cross is made with 8mm, 6mm and 5mm crystal beads, and seed beads. 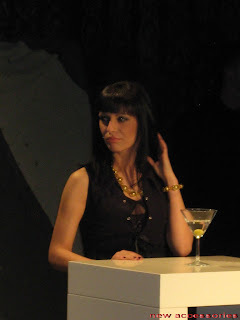 What do you think, did you like the cross? 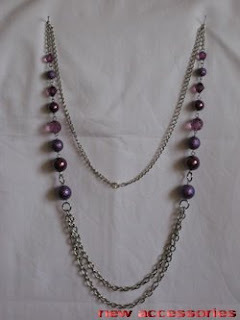 This beaded necklace is made with 4mm, 5mm and 6mm crystal beads, 10mm crystal tears. 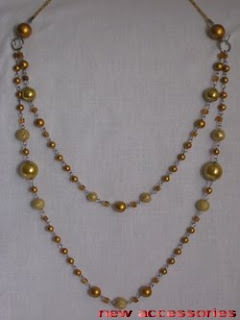 This beaded necklace is made with 4mm, 5mm and 6mm crystal beads and seed beads. 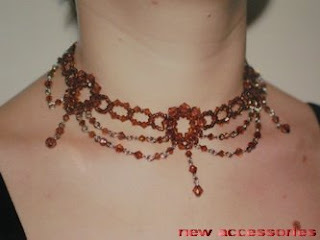 Maybe the brown color is not actual now but I wanted to show you some of my older beaded jewelry. This beaded necklace I made for bridals. 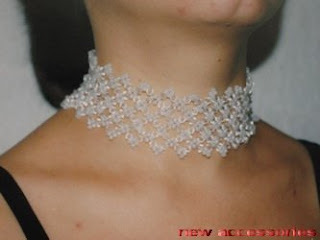 It is made with 5mm crystal beads and seed beads. Very interested bridal model. What do you think?